Last year, we created a gift guide containing a selection of cocktail items we love. This year, instead of doing the same thing, we decided to do something different. We wanted to share some great gifts based around another one of our loves, coffee! At Geeks Who Eat Headquarters we not only love a great cocktail but great coffee! In fact, there isn’t a day started without it! Therefore, it stands to reason then that we needed to share a 2017 Coffee Gift Guide. Our 2017 Coffee Gift Guide features not only great coffee, but other products we love. Whether you are new to drinking coffee or a connoisseur, there will be something for you or your loved one. So let’s get started! 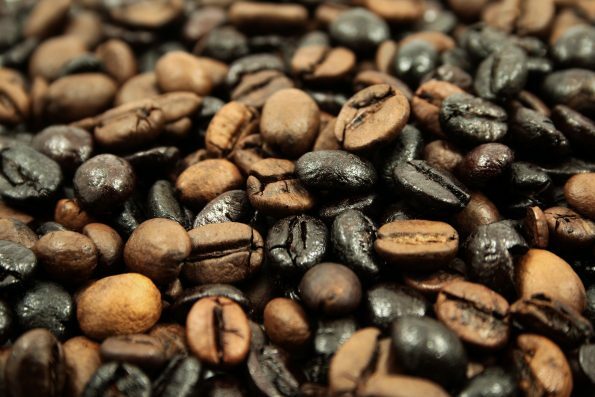 Coffee– This one may seem obvious, but why not start with the basics? Have a coffee you love? Why not gift it? Or perhaps share your favorite local blend! We love Expedition Roasters, Press Coffee, Superstition Coffee, and lots of others. Cool Coffee Mugs– What better way to display your new coffee than in a snazzy new mug? Mugs are a fun way to customize your gift to the recipient. 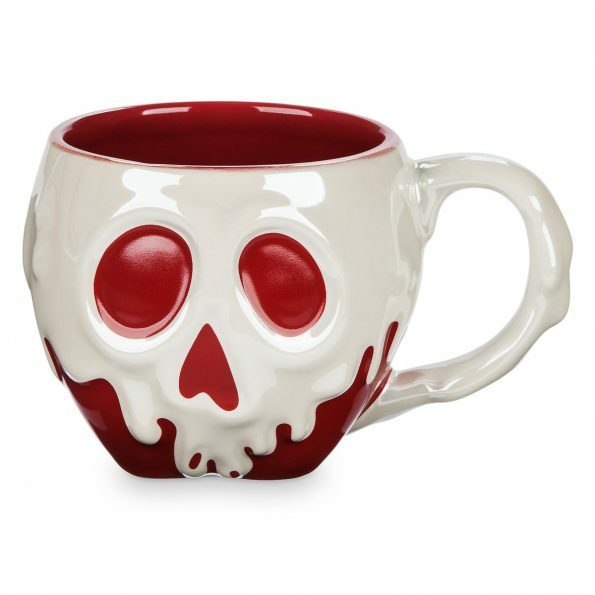 You can find awesome mugs at your local comic shop, ThinkGeek, The Disney Store, or even Target! 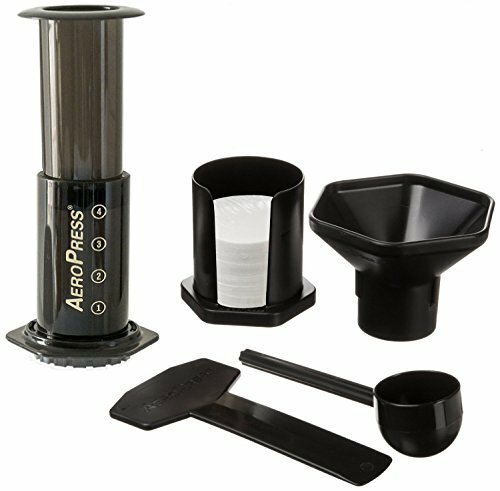 AeroPress– The AeroPress is a super cool coffee press that we purchased after a colleague recommended it to us. It brews coffee under ideal conditions: proper temperature, total immersion, and rapid filtering. Now, if you drink a lot of coffee each day, this won’t be a good replacement for a pot. That being said, it does make a great cup of joe! Coffee Education– Want a really unique gift? How about a Coffee 101 class? Give the gift of education to your favorite coffee lover. 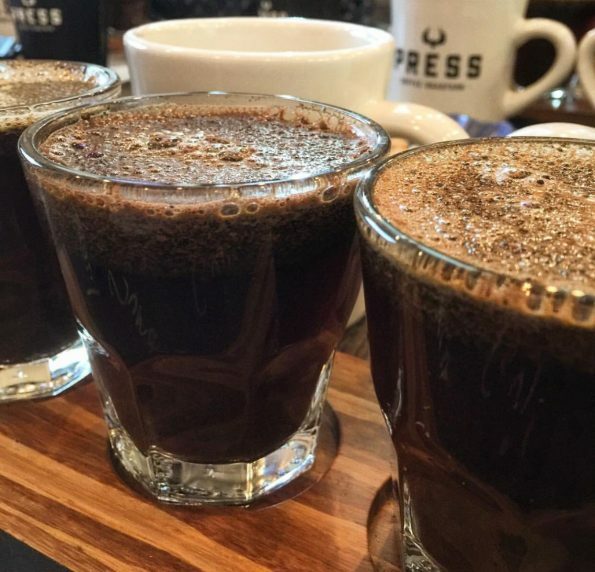 Press Coffee offers a class all about the brief history of each coffee and how their journey from seed to cup has created the flavors you taste. Hopefully we’ve given you some great ideas for your favorite coffee lover! What are some of your favorite coffee themed gifts? Who makes your favorite coffee? Leave a comment below, we’d love to hear your thoughts! *The Geeks were not compensated facilitate this write-up. No links contain affiliate content. All opinions are wholly our own. View our Disclosure Policy for more info.